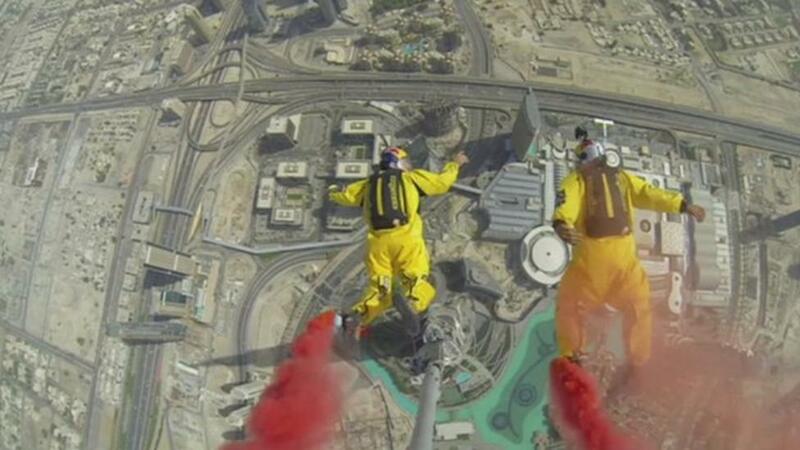 Two sky divers have set a new world record after jumping off the world's tallest building. Sky divers Vince Reffet and Fred Fugen base jumped from the Burj Khalifa in Dubai. They were not the first to jump off the building but broke the previous record by leaping from a temporary platform built on top of the pinnacle of the tower. It was so fun they did it twice. The record attempt was arranged by Skydive Dubai which provided this video.